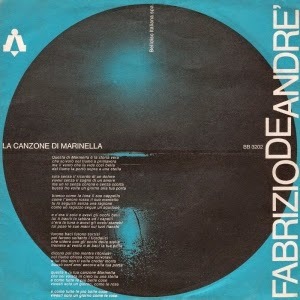 "La canzone di Marinella" is perhaps the most famous of De André's songs, and when it was covered with great success by the Italian artist Mina in late 1967 it allowed De André to give up his day job and concentrate on songwriting. The song itself was based on the true story of a girl who became orphaned and then took to the streets to make money. She was murdered by a client. 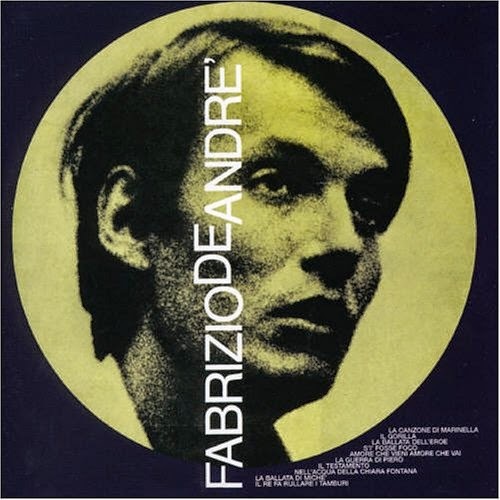 When he read the story, De André's impulse was to do something to help, in the only way he could - with a song, written as a way to change her death and to sweeten it somehow, given that we have no powers to change the events of someone's life.